Radish Roost in the early dawn light. Rebellion, Scree, NE of spire. (Beta Build). 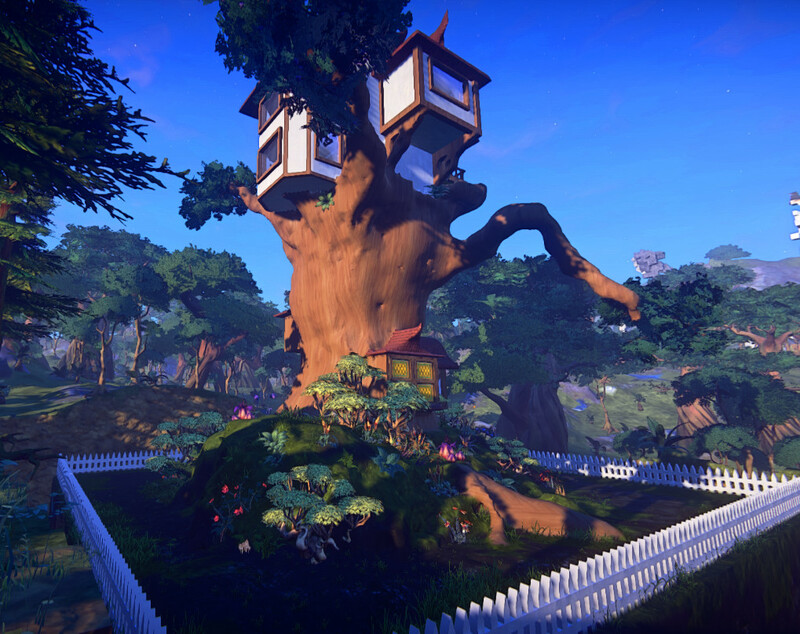 Landmark recently held a competition for landmarks, builds that would make a statement on the landscape, to permanently add to the game world at the spires. We haven’t heard about the winners yet (dang those bushfires) but I thought I’d show you my own entry into the competition. Oh Prop, Where Art Thou? Somewhere in this build are lost light orbs. Rebellion, Scree, NE of spire. Ever lost a prop in a build? Have you been using a white orb to light your working surface, added a few more voxels and, voila, your light source has disappeared? You know it’s still there, shining away, you just can’t reach it without deleting your work. This happens to me all the time. I started building my ‘Landmarks of Landmark’ competition entry with the white light orbs x 10 and finished with only 4 left. I used 4 in the build and, somewhere, a white light orb or two still shine on hidden beneath the voxels. My inspiration turned into something quite different. Landmark’s alpha has come and gone, we’re well into beta now. I challenged myself with an inspirational picture in Settling Into Landmark and I thought it was time to let y’all see how that went. The lead picture depicts my tower and courtyard walls, along with my attempt at an onion dome.